PrimeLending: Sabrina Schmitt – Home Loans Made Simple. 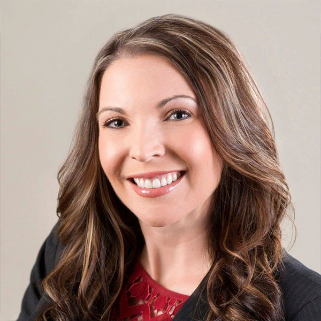 Sabrina grew up in the Redding area and served in the Air Force as an Imagery Intelligence Specialist after high school. During this time, she continued her education by going to college on her lunch breaks and squeezing in night classes when the military would let her. She’s lived in several states in the Midwest and also for a few years in Japan when she was still in the service. She came back to the Redding area 11 years ago to be close to family and to raise her two sons Michael and Matthew. Her career started by working in title and escrow but she quickly realized it was mortgage lending that she loved. Now with over 14 years of experience, she knows this is exactly where she needs to be – making it easier than it seems to achieve your dreams of homeownership! I am a wonderfully busy wife and mother of five incredible kids ranging from 19 to 8 years old. I have a ridiculously awesome pack of friends that I “do life” with and can be found hiking, running, camping and living life to the fullest here in the beautiful Northstate. I am a leadership team member for Catalyst Mentoring, a non-profit collaboration of over 30 local mentoring programs dedicated to changing the lives of local youth and the future of our city. I am so proud to be the newest member here at PrimeLending, our company has a great history and reputation, and I am excited to serve our borrowers as a Loan Officer Support person. After I graduated from CSU Chico I became an insurance agent which eventually lead me to the home loan industry. I quickly learned that if you provide excellent service with a positive attitude, the business will find you. I also found that surrounding yourself with like-minded people made working a more pleasant experience. When not traversing the home loan maze in our Redding office, I follow the exploits of my 2 children and 3 grandkids. They provide endless hours of entertainment and surprises along with some anxious moments. 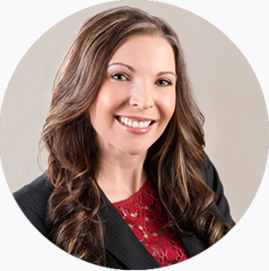 Toni is a native of Shasta County with 14 years of experience in the mortgage industry. She helps process all the loans and makes sure everything is in order. When she’s not helping people with their loans, she’s most likely spending time outdoors with her daughter. Cindy grew up in the Redding area, is a busy mom to two awesome kids, 15 & 7. When she is not assisting Sabrina on Home Loans, she spends her time outdoors camping, shooting, riding horses, fishing, and spending time at our beautiful surrounding lakes! She has worked as Sabrina’s Loan Officer assistant for the past 2 years, and loves the challenges that each new day brings.